I'd like to go to Hawaii some day, although I haven't been yet, and I'm not sure when I will. But when I do, perhaps I'll be the first to see a Kaua'i 'akialoa since the last one was seen in 1967. Having drawn and redrawn it at least a half dozen times during this process, I'm familiar enough with it now to possibly spot one if it did a fly-by. Unfortunately, though, it's believed this little guy went the way of the dodo ("went the way of the kaua'i 'akialoa" never would've had the same ring), so I've probably missed my chance. 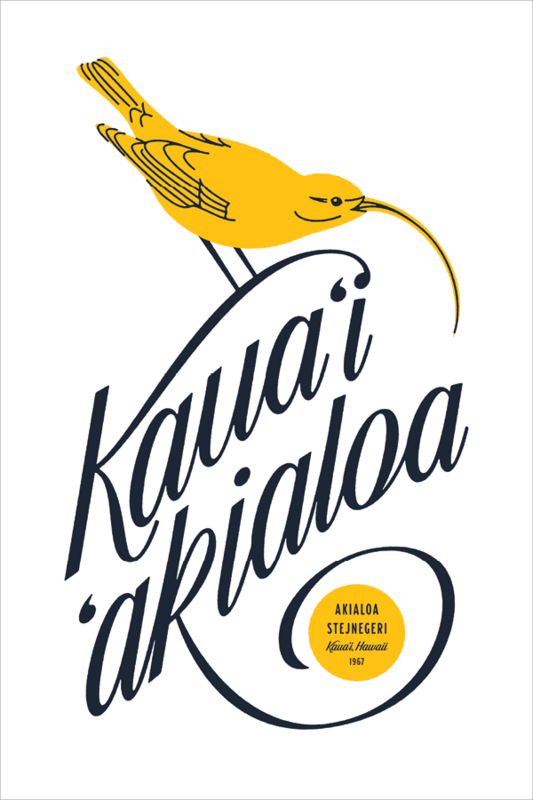 In which case I'm glad to have been given this opportunity to help remember the Kaua'i 'akialoa and his ridiculously happening beak. Wherever the wind took you, fly true little friend.